We created and raced balloon boats this past week! The winning boat body was the egg carton tops--for some reason the bottles were total duds. Monday at 4pm: This week's feature is Shark Tale. When a shark accidentally clobbers himself, a small fish named Oscar just happens to be around, prompting everyone to believe that he killed the shark himself. This lie soon makes Oscar a celebrity, worshipped by the general mass of fish, wooed by a glittering golddigger, missed by his best friend--and hunted by the godfather of great whites. Can a vegetarian shark named Lenny get Oscar out of this mess? 3pm: Olympian Scotty Lago! Scotty will be here to tell stories about snowboarding, training and the Olympics. He'll have some gear with him to show you and he'll answer your questions. Afterwards, he'll sign autographs. We are expecting a large crowd for this program, so please be a few minutes early. Wednesday at 6pm: Pajama Story Time. Wear your jammies, bring a stuffed friend and relax with us. We'll start with a craft, then wind down with stories and songs. Thursday at11am: Jenn's Stories. This is her last week, so don't miss a crocodile puppet show and craft! 3:30pm: Frozen T-Shirt Contest! Each team will be given a frozen t-shirt. The first team to thaw it enough to put it on wins! There will be prizes. Don't forget to keep bringing in your reading logs--Topsfield Fair and Water Country are waiting for you! In case you're looking at our usual Flickr account and noticed that there haven't been new pictures for a bit, here's the reason: We have to upgrade our account and we're waiting on instructions from them. In the meantime, I'm continuing to post all new pictures on our Facebook page. At right, Jennifer Ericsson brought her cow marionette to meet us before reading "No Milk". First of all, I'm putting up the bat signal: I need clean empty plastic soda bottles for two of our projects for this coming week. I have a stash, but realized that they really are the best option for BOTH activities. Anyone want to recycle?! Monday, 4pm: Monday Movies! This week's feature is Flushed Away. Roddy, an upper-crust "society mouse," is flushed down into Ratropolis, the bustling sewer world found under London’s streets. There, he meets Rita, an enterprising scavenger who works the sewers in her faithful boat, the Jammy Dodger. Together they must navigate their way through a busy city filled with dangers including terrifying rapids, treacherous whirlpools and, most of all, the villainous Toad and his hench-rats Spike and Whitey. 1-5pm: Drop in Craft! Message in a Bottle or Ocean in a Bottle. You choose--a special message to a friend or relative far away, or your very own ocean! Yes, you actually CAN mail these. Wednesday, 6pm: Pajama Story Time. Wear your jammies and bring a stuffed friend. We'll start with a craft, then wind down with stories and songs. Thursday, 11am: Jenn's Stories. Jenn will read us some stories (I believe we're focusing on chickens this week) and have a fun craft afterwards! 4-5: Balloon Jet Boats. Create a balloon jet boat then take it outside to race! Friday, 4-5pm: Wii For All! Yup, just what it sounds like. We have Mariokart, Wii Play, Summer Sports, Bowling and more. Snacks included. 4pm: Water Relay Races! Find out how much different types of sponges and containers will hold, then race to fill various containers. 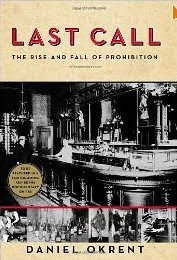 Wednesday, July 21, 3:30pm: Author Jennifer Ericsson visits us! She is author or co-author of 14 books, and she'll be here for a story time and question and answer. She’ll read some of her picture books and tell us a little about herself. Then she will answer any questions you want to ask about her books, about being an author or about writing. 6pm: Pajama Story Time! Wear your jammies and bring your stuffed animal--we'll start with a craft, then wind down with stories and songs. Thursday, July 22, 11am: Jenn's Stories. Jenn will be reading to us about bunnies this week and has a very cute craft planned! Don't forget to sign up for the Summer Reading Program if you haven't already--the later you start, the harder you'll need to work to earn your Topsfield Fair or Water Country tickets! If you have signed up, don't forget to check in each week--there's a t-shirt to be won EVERY week. 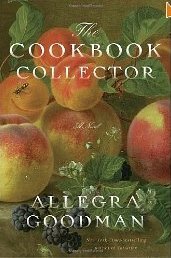 Heralded as “a modern day Jane Austen” by USA Today, National Book Award finalist and New York Times bestselling author Allegra Goodman has compelled and delighted hundreds of thousands of readers. Now, in her most ambitious work yet, Goodman weaves together the worlds of Silicon Valley and rare book collecting in a delicious novel about appetite, temptation, and fulfillment.Emily and Jessamine Bach are opposites in every way: Twenty-eight-year-old Emily is the CEO of Veritech, twenty-three-year-old Jess is an environmental activist and graduate student in philosophy. Pragmatic Emily is making a fortune in Silicon Valley, romantic Jess works in an antiquarian bookstore. Emily is rational and driven, while Jess is dreamy and whimsical. Emily’s boyfriend, Jonathan, is fantastically successful. Jess’s boyfriends, not so much—as her employer George points out in what he hopes is a completely disinterested way.Bicoastal, surprising, rich in ideas and characters, The Cookbook Collector is a novel about getting and spending, and about the substitutions we make when we can’t find what we’re looking for: reading cookbooks instead of cooking, speculating instead of creating, collecting instead of living. But above all it is about holding on to what is real in a virtual world: love that stays. The wondrous Aimee Bender conjures the lush and moving story of a girl whose magical gift is really a devastating curse. 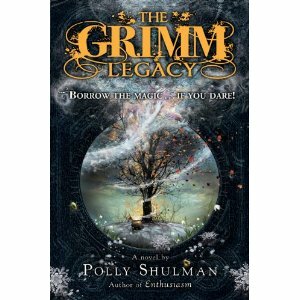 On the eve of her ninth birthday, unassuming Rose Edelstein, a girl at the periphery of schoolyard games and her distracted parents’ attention, bites into her mother’s homemade lemon-chocolate cake and discovers she has a magical gift: she can taste her mother’s emotions in the cake. She discovers this gift to her horror, for her mother—her cheerful, good-with-crafts, can-do mother—tastes of despair and desperation. Suddenly, and for the rest of her life, food becomes a peril and a threat to Rose. The curse her gift has bestowed is the secret knowledge all families keep hidden—her mother’s life outside the home, her father’s detachment, her brother’s clash with the world. Yet as Rose grows up she learns to harness her gift and becomes aware that there are secrets even her taste buds cannot discern. 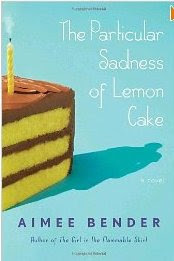 The Particular Sadness of Lemon Cake is a luminous tale about the enormous difficulty of loving someone fully when you know too much about them. It is heartbreaking and funny, wise and sad, and confirms Aimee Bender’s place as “a writer who makes you grateful for the very existence of language” (San Francisco Chronicle). 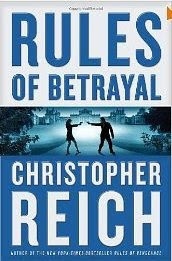 The most riveting novel yet in Christopher Reich’s New York Times bestselling series—featuring Dr. Jonathan Ransom and his undercover-agent wife Emma, a dangerous woman with a mysterious past who has gone rogue in the high-stakes, serpentine world of international spies. In 1980, a secret American B-52 crashes high in a remote mountain range on the Pakistan–Afghanistan border. 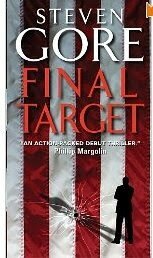 Nearly thirty years later, and spanning locales from those peaks to New York City, a terrible truth will be revealed. Jonathan Ransom returns as the resourceful doctor thrown into a shadowy world of double and triple agents where absolutely no one can be trusted. To stay alive, Ransom must unravel the mystery surrounding his wife—an enigmatic and lethal spy who plays by her own rules—and discover where her loyalties truly lie. 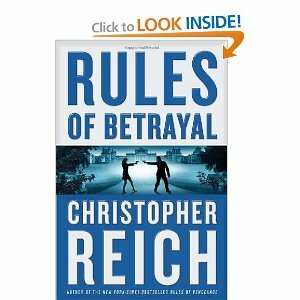 Rules of Betrayal is a masterfully plotted novel that cements Christopher Reich’s reputation as one of the most admired espionage thriller writers today. From San Francisco to London to Kiev, investigator Graham Gage is in a race against the FBI and Ukraine gangsters to solve an intricate stock swindle and arms deal in time to clear his friend’s name. Gage peels away the layers of the collapse of SatTek Industries in San Jose to find a plot that morphs into something bigger, something that will put the American military in the Middle East at risk. Weaving a carefully-layered tale of greed, money laundering, and European politics, author Steven Gore takes us, with wonderful dialogue and local description to London, Geneva, the Channel Islands, and finally - featuring 2 fabulous Ukrainian gangster characters - Kiev. 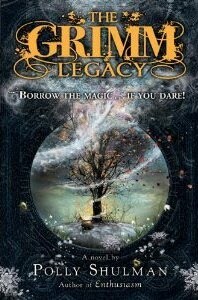 A great cast of characters throughout the book, and a great twist at the end too! David Pepin has been in love with his wife, Alice, since the moment they met in a university seminar on Alfred Hitchcock. After thirteen years of marriage, he still can’t imagine a remotely happy life without her—yet he obsessively contemplates her demise. 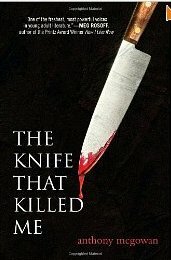 Soon she is dead, and David is both deeply distraught and the prime suspect.The detectives investigating Alice’s suspicious death have plenty of personal experience with conjugal enigmas: Ward Hastroll is happily married until his wife inexplicably becomes voluntarily and militantly bedridden; and Sam Sheppard is especially sensitive to the intricacies of marital guilt and innocence, having decades before been convicted and then exonerated of the brutal murder of his wife.Still, these men are in the business of figuring things out, even as Pepin’s role in Alice’s death grows ever more confounding when they link him to a highly unusual hit man called Mobius. Like the Escher drawings that inspire the computer games David designs for a living, these complex, interlocking dramas are structurally and emotionally intense, subtle, and intriguing; they brilliantly explore the warring impulses of affection and hatred, and pose a host of arresting questions. Is it possible to know anyone fully, completely? 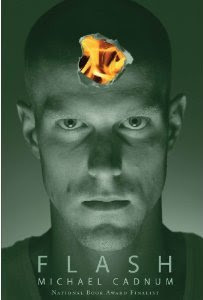 Are murder and marriage two sides of the same coin, each endlessly recycling into the other? And what, in the end, is the truth about love?Mesmerizing, exhilarating, and profoundly moving, Mr. Peanut is a police procedural of the soul, a poignant investigation of the relentlessly mysterious human heart—and a first novel of the highest order. 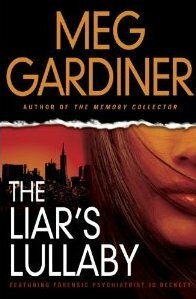 Edgar Award winner Meg Gardiner returns with a third propulsive, groundbreaking thriller about forensic psychiatrist Jo Beckett and the lies that are even more dangerous than fame. Tasia McFarland is a washed-up country-pop singer desperate for the break that will get her topping the charts again. The tabloids have raked over every part of Tasia's rocky life, following every high and low, her addictions, her breakdowns, her increasingly erratic behavior-and every broken relationship. The highlight of this lowlight reel: her failed marriage to an ambitious Army officer whose political talents earned him a spot in the nation's highest office. Tasia McFarland is the ex-wife of the President of the United States. So when Tasia writes a song with politically-charged lyrics, people take note and her star begins to rise anew. In the spectacle-driven opener of her comeback tour, she is lowered into a stadium on a zip line and as helicopters fly overhead she fires her prop Colt 45 at the fireworks-filled stage. Tasia is riding high. Until she's killed by a bullet to the neck, before the shocked crowd of 40,000. When video can't prove that the shot came from Tasia's own Colt .45 and the ballistics report comes up empty, the authorities call on forensic psychiatrist Jo Beckett to do a psychological autopsy and clean up the potential political disaster. But as Jo sifts through the facts, she only finds more questions. Was Tasia's gun loaded? Did she kill herself in one last cry for attention? Were her politically-charged lyrics the rantings of a paranoid woman losing her grip? Or warnings from a woman afraid and in danger? For Jo, pouring over Tasia's past quickly becomes a race to extinguish the conspiracy rumor mill before it incites a level of violence that reaches America's highest corridors of power-and tears apart the very fabric of our nation. 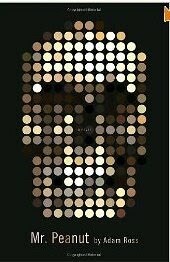 We’re told that there are seven deadly sins; not on the list is the deadliest of them all: Betrayal. 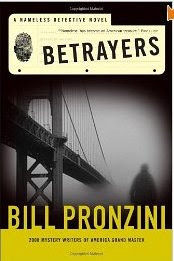 For each of the detectives at the agency, a betrayal—personal, against a child, against the elderly—becomes not only the driving force behind an investigation, but the source of the kind of resolve that cannot be derailed by threats of any kind. 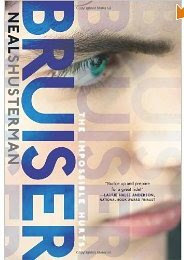 Tamara’s case began as something personal but explodes as her investigation of her former lover Lucas Zeller leads to a scam bilking charities in the name of helping the homeless and indigent. 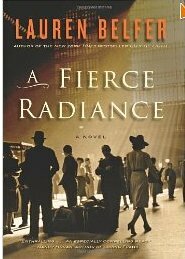 For Nameless, with a case he doesn't want but can't turn down, trying to find out who is gaslighting an old woman only exposes the ugly side of family. When he goes home, tired and annoyed, he discovers that his adopted daughter, Emily, has a secret of her own. Runyon has a different difficulty: his case of a bailjumper with some bad family ties is easy enough as these things go, but he’s being confronted by a demon that is going to try to force him into a betrayal…. 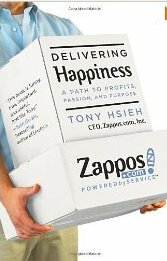 "The key to real and lasting change lies somewhere between what you know and what you do. It’s what you think." —Lisa OzBeing social creatures, we yearn for connection but often fall into bad habits that interfere with our ability to have rewarding relationships. We begin to see ourselves as alone, isolated, or at odds with the rest of the universe. How can we learn to live in relationship in a more enlightened way? 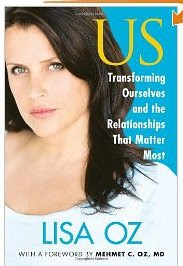 In US: Transforming Ourselves and the Relationships That Matter Most, Lisa Oz, the bestselling coauthor of the YOU: The Owner’s Manual series, takes readers on a transformational journey as she explores the three relationships that matter most: with the self, with others, and with the Divine. Interrelated and inseparable, these fundamental relationships determine the quality and the measure of our emotional and spiritual lives. Drawing from ancient traditions, spiritual and holistic thinkers, and personal insights, Lisa Oz guides you on an engaging, thought-provoking, and ultimately inspirational path toward changing your self, your relationships, and your life. With remarkable candor and humor, Lisa offers personal anecdotes that highlight the truth and consequences of familiar interactions. She also includes imaginative exercises meant to help you gain new insight into old behavior patterns and to encourage you to be an active, empowered agent for positive change in your relationships. Lisa’s writing on topics such as personal well-being, identifying your authentic self, conscious parenting, marital bonding, and truly compassionate living are persuasive because they are suggestive rather than prescriptive. By holding a mirror to her relationships, Lisa hopes to inspire you to reflect on your own, observing that we are all works in progress, living in relationship together.Informative and transformative, US offers an enriched and fulfilling vision of friendship, marriage, family, and spiritual progress. In these pages, the evolution of YOU blossoms into the community of US. 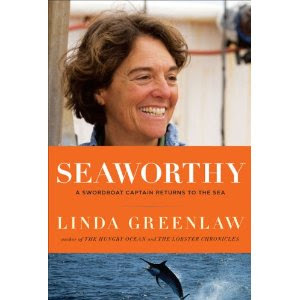 Linda Greenlaw hadn't been bluewater fishing for ten years- not since the events chronicled in the books The Perfect Storm and The Hungry Ocean-but when her lobster traps aren't paying off, her truck is on its last gasp, and the bills are piling up, she decides to take a friend up on his offer and captain a boat for a season of swordfishing. A decade older, and with family responsibilities, she's a different person heading out to sea, but any reluctance is quickly tempered by the magnetic lure of adventure. And the adventures begin almost immediately: The ship turns out to be rusty and ancient, and even with a crew of four Greenlaw is faced with technical challenges. There are the expected complexities of longline fishing and the nuances of reading the weather. Her greatest challenge, however, comes when the boat's lines inadvertently drift into Canadian waters and Greenlaw is thrown in jail. Capturing the moment-by-moment details of her journey, Greenlaw tells a story about human nature and the nature around us, about learning what can be controlled and when to let fate step in. Seaworthy is a compelling narrative about a person setting her own terms and finding her true self between land and water. 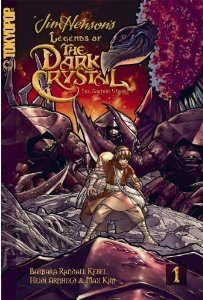 This much-anticipated original prequel to Jim Henson's fantasy masterpiece is set 100 years before The Dark Crystal, the groundbreaking film that won the hearts and minds of fans all over the world and set the stage for the new age of muppet-making. With his carthorse as his only companion, the young merchant Kraft Lawrence slowly wends his way through dusty back roads in search of profitable trade. But this monotony screeches to a halt when, one night, he encounters a harvest goddess in the guise of a beautiful young girl . . . with wolf ears and a tail! Longing for the northern lands of her birth, Holo the Wisewolf joins Lawrence as he follows the ebb and flow of trade through the countryside. 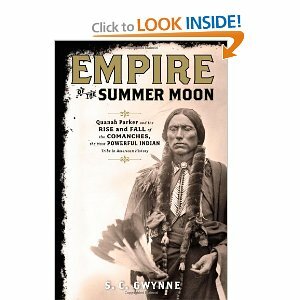 And when the two come across a compelling but suspicious opportunity for profit, will Lawrence with his mercantile chops and Holo with her ancient instincts be able to separate the truth from the lies - and make some coin while they're at it? 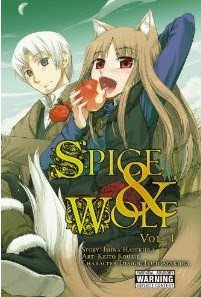 !This manga adaptation of Isuna Hasekura's acclaimed Spice and Wolf novel series, also available from Yen Press, is an investment that promises the greatest of entertainment returns! Tennyson:Don't get me started on the Bruiser. He was voted "Most Likely to Get the Death Penalty" by the entire school. He's the kid no one knows, no one talks to, and everyone hears disturbing rumors about. So why is my sister, BrontË, dating him? One of these days she's going to take in the wrong stray dog, and it's not going to end well. BrontË:My brother has no right to talk about Brewster that way—no right to threaten him. There's a reason why Brewster can't have friends—why he can't care about too many people. Because when he cares about you, things start to happen. Impossible things that can't be explained. I know, because they're happening to me. When two teenage brothers bungle a bank robbery, their attempt to hide the evidence is witnessed—aurally—by Terrence, a legally blind neighbor. Terrence tells his girlfriend, Nina, and her brother, who then disappears with a handgun. Nina is afraid of what he might do to the brothers. But she also has every reason to fear what the brothers will do to Terrence. Monday at 4pm: Monday movies begin with The Water Horse! "When a lonely young boy named Angus discovers a large, mysterious egg along the shores of Loch Ness, no one is prepared for what lies within. He soon discovers that the strange, mischievous hatchling inside is none other than The Water Horse, the loch's most mysterious and fabled creature! But with the Water Horse growing ten times its size every day, Angus finds it increasingly difficult to keep his new friend a secret." 1-5: Drop In Craft--Rain Sticks! Make and decorate your own rainstick. All the cool sounds without the disappointing weather. Wednesday at 3:30: Musician Steve Blunt will be singing and playing for us! A local children’s musician, Steve describes himself as “a part-time music teacher, part-time singer/storyteller whose job is more full-time fun than most grown-ups are allowed to have”. He started creating songs for children back in the mid-90’s, while working as a middle-school English teacher and raising a young daughter. Now he has four CD’s of songs for kids & families: Hang On Henry, Kangaroos and Didgeridoos (with Joseph Carringer), Outta School, and Let’s Have a Reading Party (with author Marty Kelley). Currently, he performs at schools and libraries in New Hampshire and throughout New England. Along with his own songs, he uses traditional American and multicultural material. “Songs & Stories”, which he will perform at the library, is a family program for “all ages... featuring mostly humorous original compositions and traditional American & multicultural selections.” To get in the mood, check out “Hang On Henry” or “Outta School” next time you’re at the library. 6:00: Pajama Story Time. Every Wednesday at 6pm throughout the summer reading program, we'll have Pajama Story Times! Wear your jammies, bring a stuffed friend and come relax. We'll start with a craft, then wind down with stories, songs and rhymes. At the last story time, Aug. 11, bring a stuffed friend you can leave overnight for a Stuffed Animal Sleepover at the library! The next morning (or at the final party), you can pick up your friend with a small book of pictures and a short story about how they spent the night. Thursday at 11: Jenn's Stories. This week, Jenn will be doing a puppet show of "Where the Wild Things Are"! 4-5: Sink or Float? What sinks and what floats? We'll have a very small pool outside and we'll see who can guess what will sink and what will float. Then we'll see if we can sink the floating things and make the sunken things float! Friday 4-5: Wii 4 All! Come test your skills at Mariokart, Wii Play, Summer Sports, Bowling and more! Snacks included. 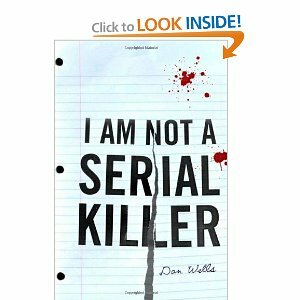 John Wayne Cleaver is dangerous, and he knows it.He’s spent his life doing his best not to live up to his potential.He’s obsessed with serial killers, but really doesn’t want to become one. So for his own sake, and the safety of those around him, he lives by rigid rules he’s written for himself, practicing normal life as if it were a private religion that could save him from damnation.Dead bodies are normal to John. He likes them, actually. They don’t demand or expect the empathy he’s unable to offer. Perhaps that’s what gives him the objectivity to recognize that there’s something different about the body the police have just found behind the Wash-n-Dry Laundromat---and to appreciate what that difference means.Now, for the first time, John has to confront a danger outside himself, a threat he can’t control, a menace to everything and everyone he would love, if only he could.Dan Wells’s debut novel is the first volume of a trilogy that will keep you awake and then haunt your dreams. Monday, July 5--The library is CLOSED! Wednesday, July 7, 6pm: Pajama Story Time! Wear your favorite jammies and bring a stuffed friend. We'll start with a craft, then wind down with songs, stories and rhymes. 11:00 Story Time with Jen! Meet Jen and listen to a story and watch a puppet show! 3:30 Get Eaten By a Whale! Call to sign up for this Blue Ocean Society program featuring a GIANT inflatable whale. Enjoy your long holiday weekend and don't forget to sign up for the summer reading program if you haven't already!